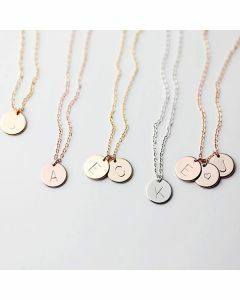 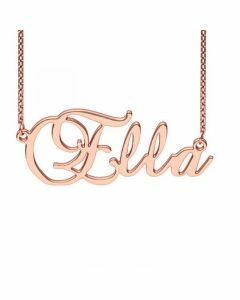 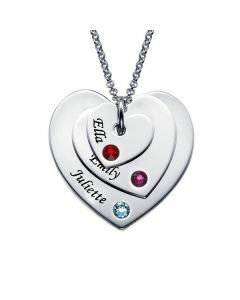 Record your love with this beautiful necklace. 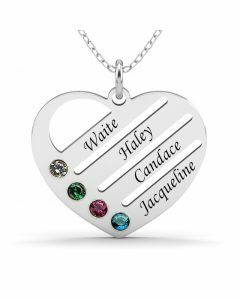 It is a nice holiday gift for loved ones or yourself. 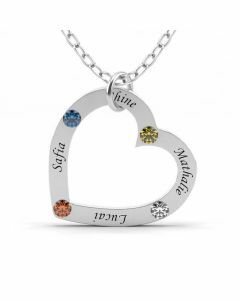 You can change the stone color and metal color to design your own unique look. 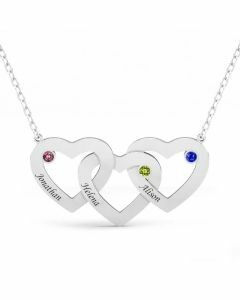 The necklace features two stacking hearts in a graceful shape. 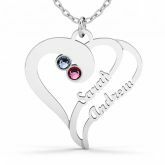 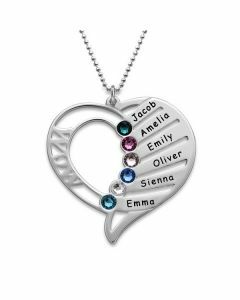 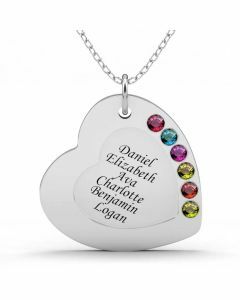 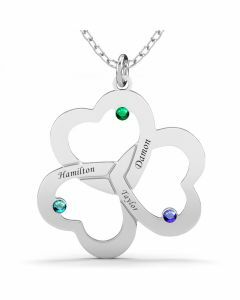 Select up to two birthstones and two engravings to make this birthstone necklace special and meaningful.